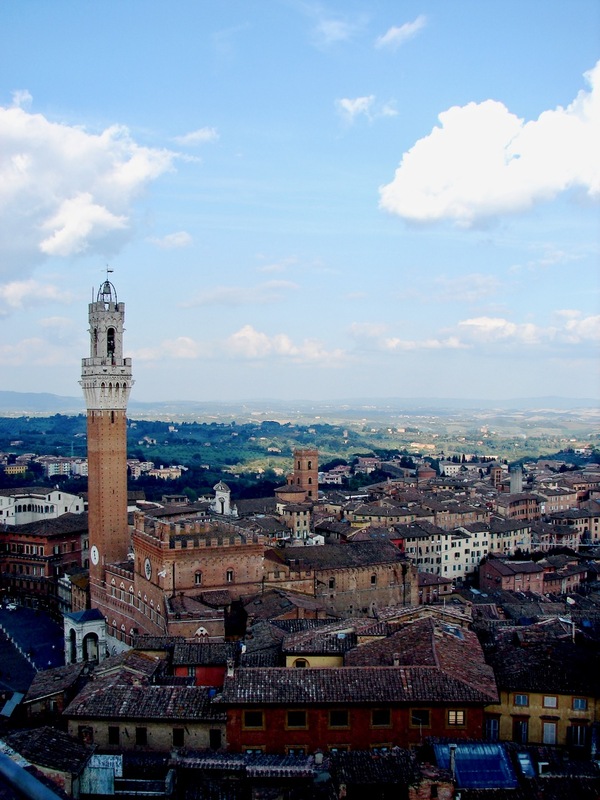 As indicated by the last couple of recipes here in Mai Tai Tracy’s Kitchen, our recent trip to Italy has inspired me to cook Italian! My absolute favorite cookie on our first trip to Italy in 2001 was the pignoli (pine nut) cookies we had in Siena. 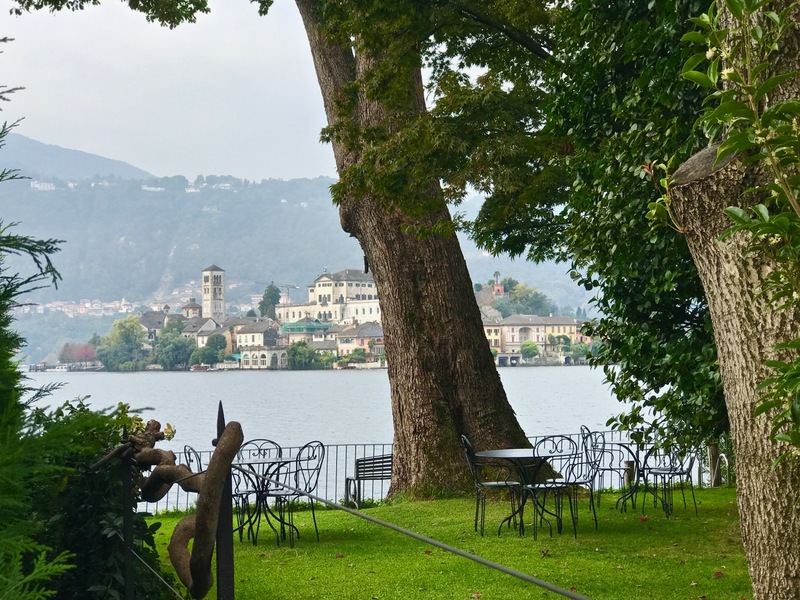 I could live on those cookies, but I had forgotten about them over the years until I tasted them again at our B&B in Orta San Giulio. Upon returning home, I came across a recipe in the 2009 issue of Better Homes & Gardens Ultimate Italian that was ridiculously easy with only four ingredients. The recipe reminds me of my favorite Almond Tart (torta della mamma) recipe as it is made with almond paste. As with the torta della mamma, I decided to add orange zest. I also added some fresh, chopped rosemary to cut down on the sweetness a tad. 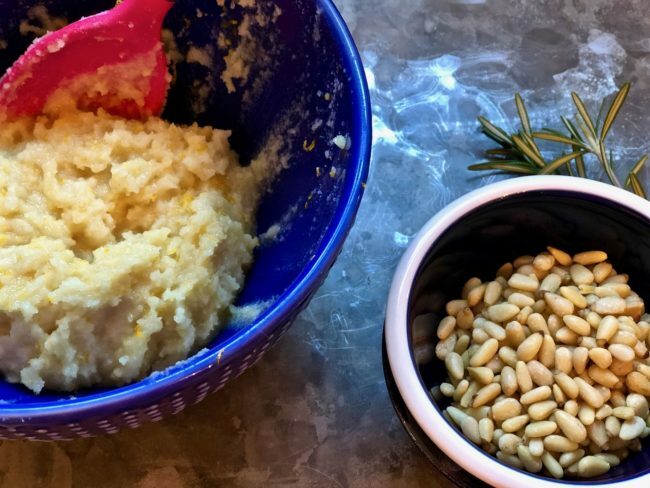 These can be made with or without the rosemary depending on how you feel about rosemary. 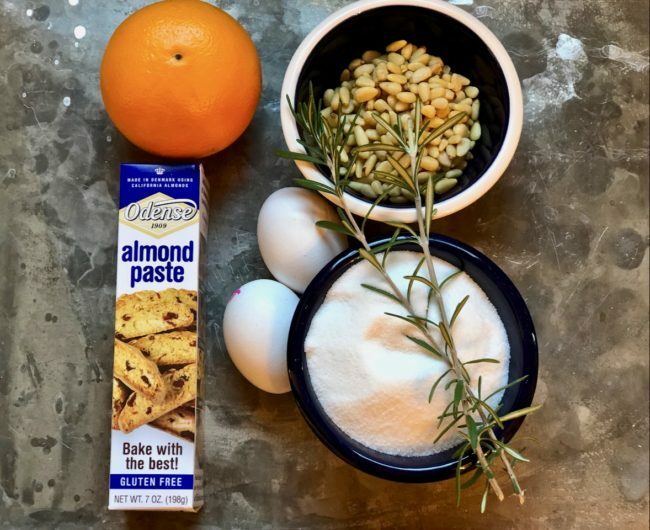 The almond paste is sold in tubes or in a can and should be available in the baked goods section of your grocery store. These directions are for a hand mixer as I still have yet to break down and get a food processor or Kitchen Aid (no cabinet space!). The recipe says it makes 24 cookies, but I only got 20. I will be sure to double it next time. 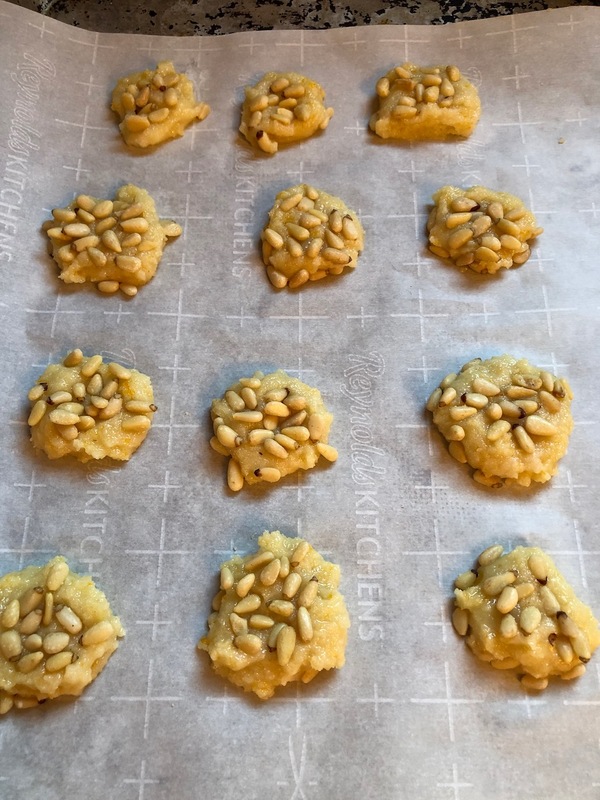 These cookies are crispy (yet chewy), sweet and nutty, and reminiscent of Italy (at least for me!). Give them a try; I think you’ll like them. Preheat oven to 350°F. 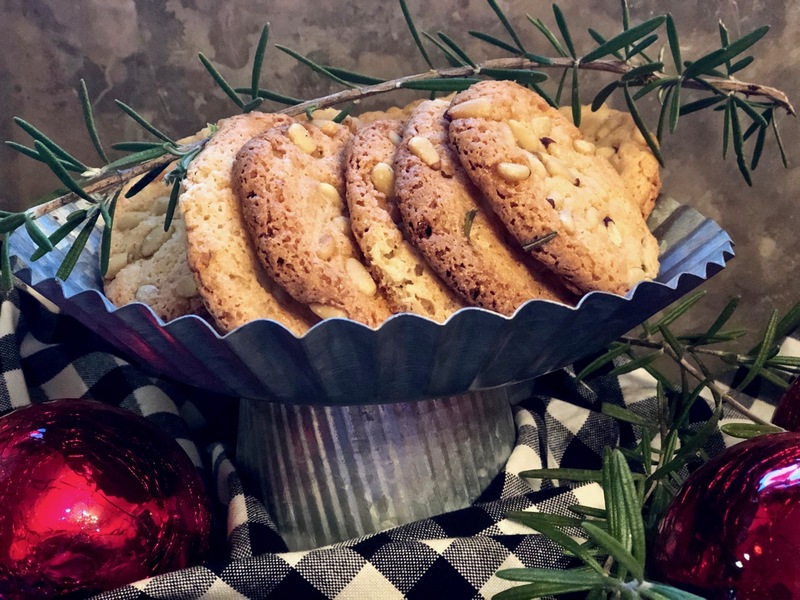 Line a cookie sheet with parchment paper or a Silpat as these cookies will stick to your pan! In a large bowl, break the almond paste into smaller pieces. Add egg whites and, using a hand mixer, beat on low speed until smooth. Gradually add in the sugar until combined. Stir in the orange zest and rosemary. To make the dough easier to work with, refrigerate for about 15 minutes. 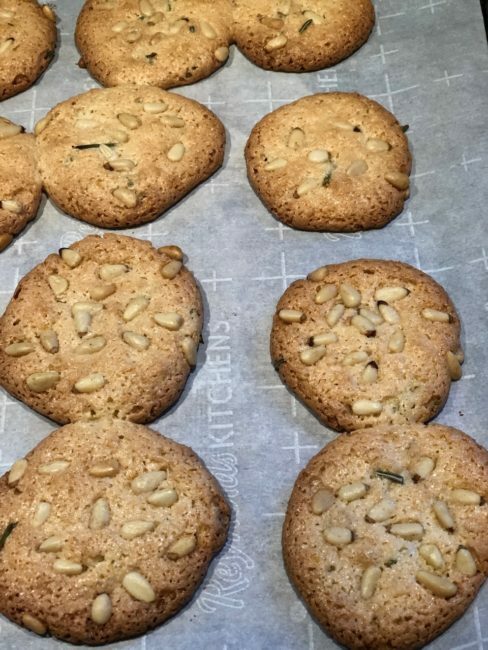 Drop the dough by teaspoonfuls on to the prepared cookie sheet and press a few pine nuts onto each cookie. Don’t crowd the cookies as they spread while baking. Bake until the edges are firm and the tops browned, about 15 minutes. Cool on the cookie sheet on a wire rack (or move the cookies, still on the parchment paper, to a wire rack to cool). Don’t try to move them off the sheet until they are cooled as the bottoms stick to the parchment. The cookies can be stored in an airtight container for 2-3 days. 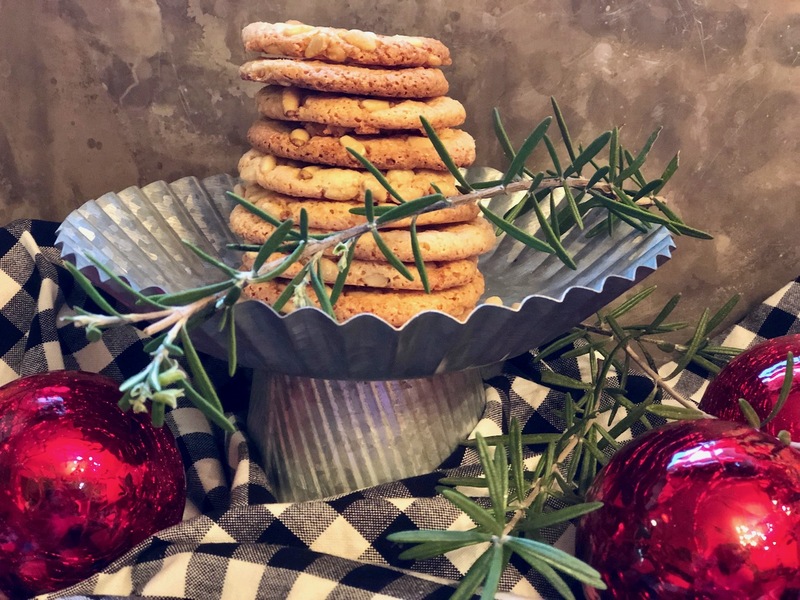 Recipe adapted from Better Homes & Gardens Ultimate Italian, Pignoli Cookies.